90 years - a round, beautiful, mature age of plenty. An age that invites retrospection, synthesis and many memories, with a significance that cannot be contained in a few words. A simple list of Radio Romania's accomplishments in the 90 years of its existence, celebrated on November 1st, would be impressive, but at least equally important is the wide palette of emotions evoked by such rich history. Some of these sonorous emotions are included now on the Radio Romania 90 album released by Casa Radio publishing house on Thursday, first of November. The first record is dedicated to the great vocal soloists born in the same decade as Radio Romania: the soprano Arta Florescu and the tenor Valentin Teodorian. The second record represents a bridge between the past and the present, through the art of the great conductor Iosif Conta and the brilliant contemporary musical interpreter, the violinist Alexandru Tomescu. Other musicians featured on this album, conducting the Radio Chamber Orchestra and the National Radio Orchestra in pieces chosen especially for this anniversary, are Carol Litvin, Mendi Rodan, Liviu Ionescu and Tiberiu Soare. 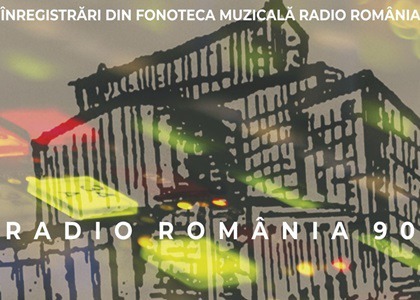 A series of moving performances commemorating values of the past and the present well into the future - an album that I warmly recommend to you: Radio Romania 90.